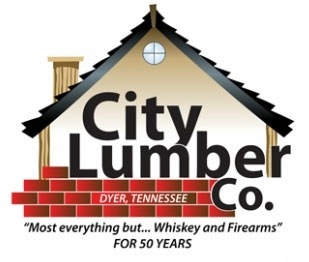 Adding Finishing Touches When Woodworking | City Lumber Co.
Woodworking is more than just a DIY project. Woodworking is a form of art and an expression of one’s personality. It goes beyond cutting and shaping the wood itself to give it a life and appearance unlike anything else. There are so many ways to work with wood. Whether you are restoring a piece of wooden furniture, building a new deck, or putting together a crib for the new addition to the family, the trick to a great finished product is in the details. Putting the finishing touches when woodworking gives the project a luster and appearance that can’t be missed. Everyone’s woodworking project varies and no two projects are ever exactly the same. Even if it’s just building or restoring a rocking chair, the process and final products are all different. Dive into this article to learn a few ways to add the finishing touches when woodworking on your next project. One of the most common ways to add finishing touches is simply sanding your work. Sanding takes rough or scratched surfaces and makes them smooth again. Use a combination of sanding by hand and orbital sanders to achieve quality results. Feel free to try different grits to discover which option will give you the best finish. 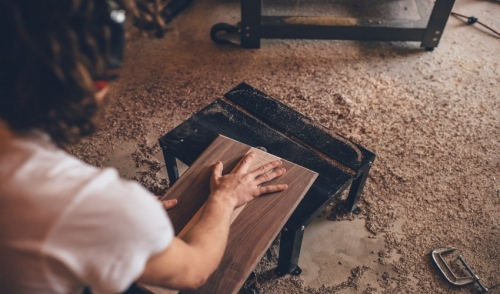 After sanding take it one step further and add a coat of stain, finish, paint, or another substance that covers, protects, and brings out the appearance of your wood. Each option serves a unique purpose and offers its own benefits. To be clear, there’s a difference between stain and paint. The biggest difference between the two is that stains are transparent and designed to allow the natural beauty of your woodworking shine, whereas paint is opaque and will completely cover the surface of the wood. Among both stains and paints, there are a variety of options to choose from. Always test your stain out on a scrap piece of wood before applying it. Stains can often come out to be a different color upon drying than it appears on the can. Keep in mind when woodworking that stains also don’t offer any protection. For softer protection I recommend using a varnish on your project. Varnish has the ability to give your wood a satin or glossy look. If you’re looking for even more protection, use a polyurethane finish. Polyurethane is often used on wooden floors or projects that will get a lot of hard use and adds water resistance. Polyurethane can also be mixed with stain to give you the desired color and protection you’re looking for. Don’t hesitate to take it one step further and mix different stains or paints together to create a custom color that can’t be found at your local hardware store. Other options to adding finishing touches to woodworking include lacquer, wood toners or waterproofers, and oils. If you don’t have lot of experience with finishing wood, I recommend sticking to quality paints or stains. Feel free to consult your local hardware store expert about your woodworking and the best route to take when adding those finishing touches. Always remember when adding your final touches to have patience. The journey to completion can be long, but worth the wait. Pay attention to the details of your project and let your creativity reign because there’s nothing better than putting your personal touch on a woodworking project.